Death by a thousand cuts! Okay maybe not. Luckily, this trend-catcher was able to offset its small losses by catching the biggest moves during the week! 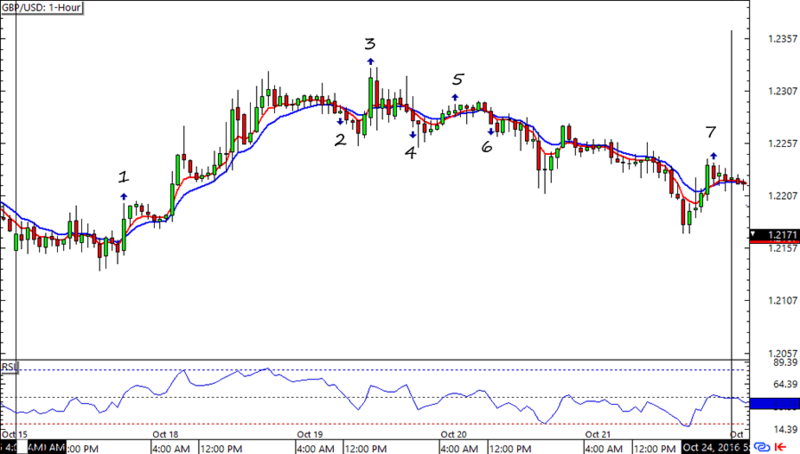 As you can see on the chart above, EUR/USD was in a tight range for most of the week. Unfortunately, the RSI filter wasn’t able to keep out most of the signals from the RSI going above and below the 50.0 mark. 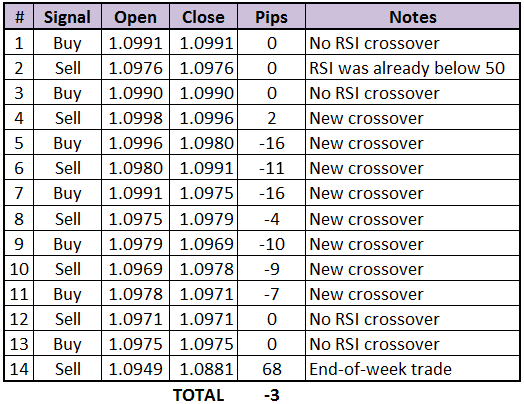 The saving grace was signal #14, which caught 68 pips and limited the net losses to 3 pips by the end of the week. Phew! Unlike in EUR/USD, Cable’s strongest move happened at the beginning of the week before it was kept in a tight range. 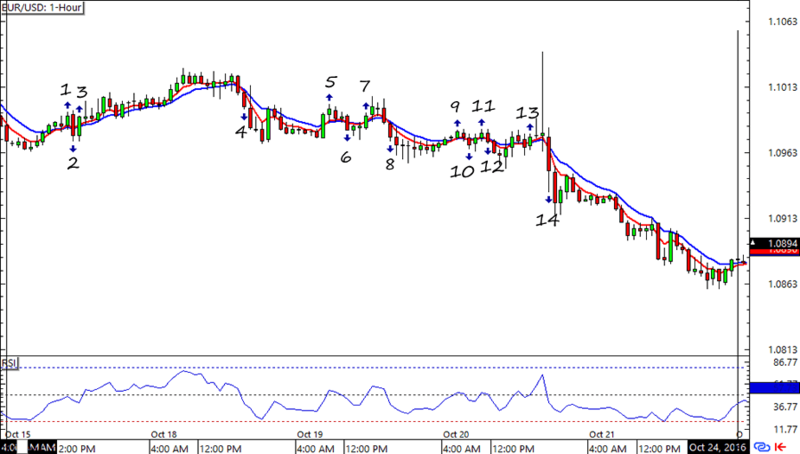 Signal #1’s gains was cut at 39 pips though, thanks to a running 50-pip stop loss. By the end of the week the HLHB eked out a teeny 2-pip gain from GBP/USD. Not bad, I think. Not a bad week for the HLHB System, as it was able to limit its losses from both EUR/USD and GBP/USD. Thank goodness this system can be counted on to catch the biggest moves of the week! 2014 HLHB Trend-Catcher Performance Here are some books if you want to get deeper into building systems & algorithms. BabyPips.com receives a small credit from any purchases through the Amazon links above to help support the free content and features of our site…enjoy!